There are lots of options for store bought Granola in the supermarket nowadays, but did you know that Granola is super easy to make at home? No addictives, extra sugar, unknown chemicals on the ingredients label, you know everything that goes into this super food. We love it because it’s so versatile to eat – with milk for breakfast, with fruit and yogurt for a quick snack, or simply on it’s own when you’ve got the munchies. 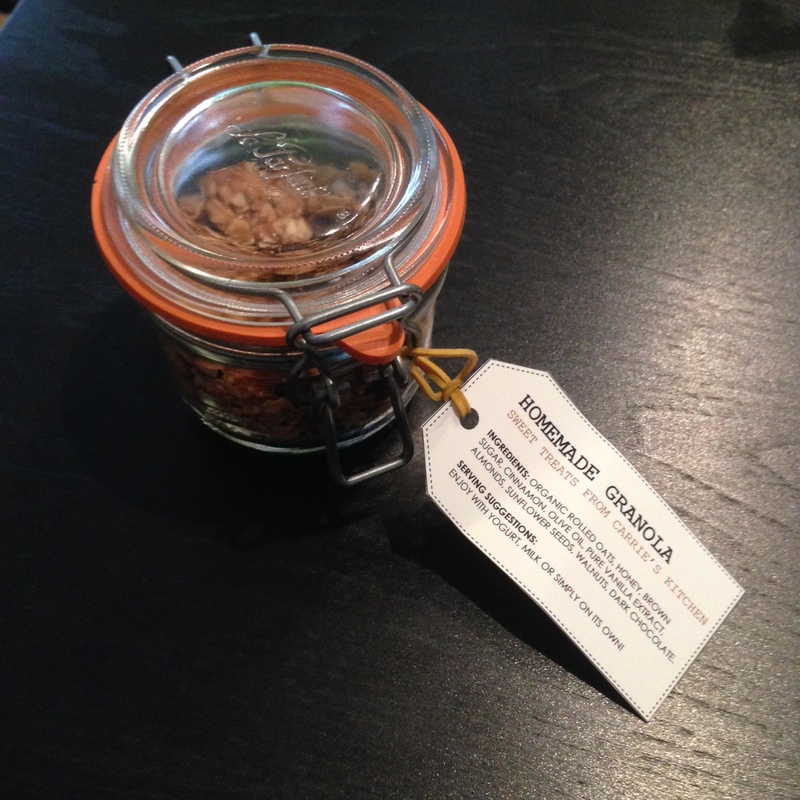 After experimenting with a few different recipes, I’m now officially disclosing my own Granola recipe (and trust me, a lot of stuff you probably already own!) We don’t like dried fruit, but it’s a great way to add sweetness as well as extra vitamins and fiber to your diet. 1/2 cup dried or freeze dried fruits / 半杯乾果, 如葡萄乾等.. 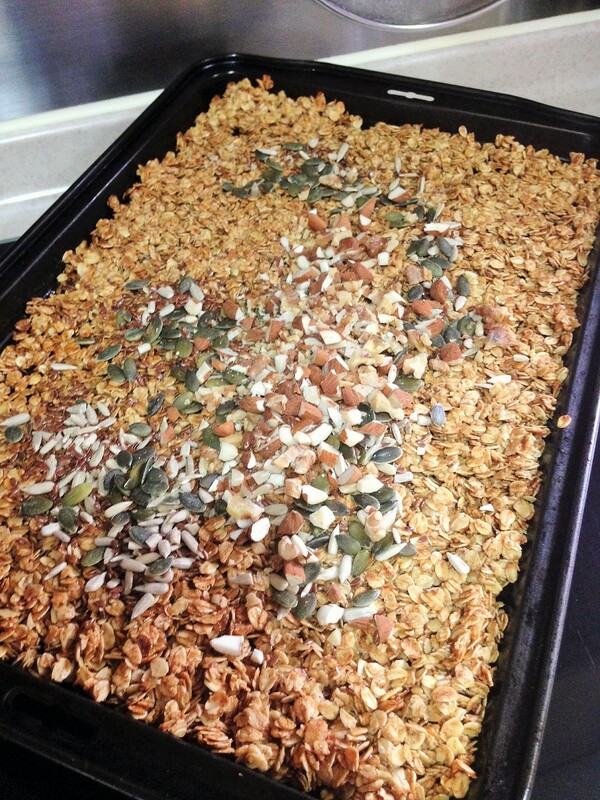 Remove the core mix from the oven, then add your nuts and seeds. Mix, then put back into the oven for another 5-10 minutes until everything is golden brown. Combine the rolled oats, brown sugar, honey, oil, salt and vanilla extract (and cinnamon if you’re using) and mix well. Place the mix into a baking tray and spread flat. Put in oven for 10-15 minutes until it’s slightly brown. Meanwhile, slightly toast and chop the nuts. 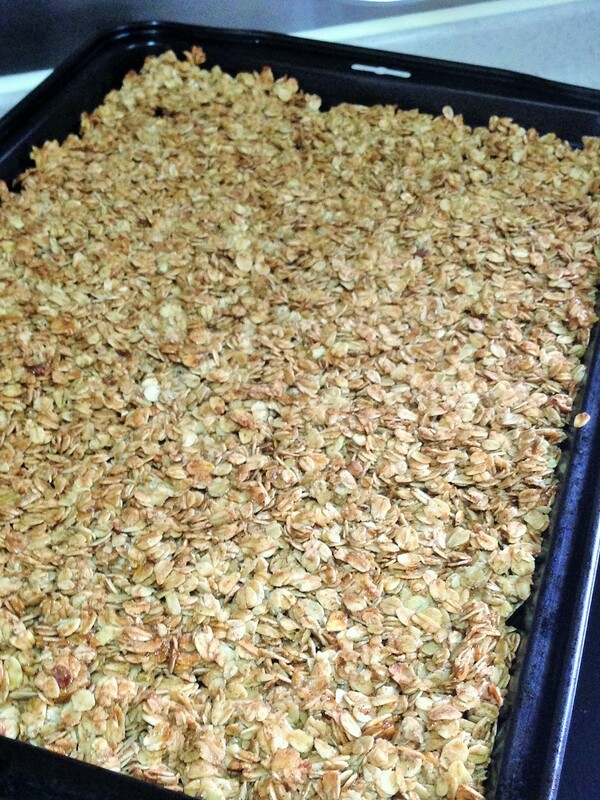 Remove mix from oven, mix in the nuts and seeds and put back into the oven for 10 minutes until golden brown.